Silicone draft tubing has a number of applications, but our favorite is in barrel top-up systems. 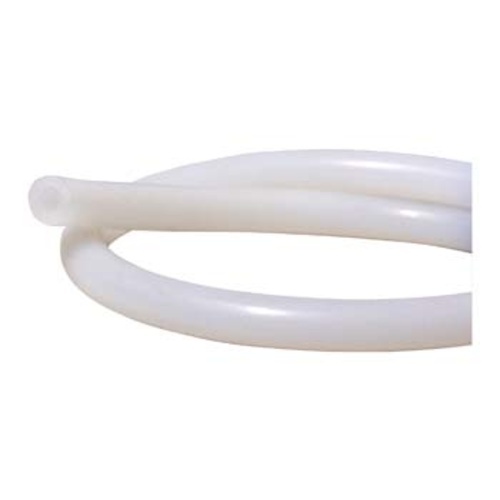 The tubing's high elasticity makes it easy to attach & detach from barbs without cutting the tubing and makes it possible to skip hose clamps in a low pressure (2-3 psi) application. Due to the tubing's higher-than-vinyl oxygen permeability, we don't recommend this for permanent installations where it will have product sitting in the lines. Approximate OD: 3/8 in. Maximum Working Pressure: 20 psi. Burst Pressure (Room Temp): 60 psi.